Instant heat where its needed most. This premium residential wall heater enables dual heat output where rapid heat-up is required. The superior motor and fan forced design enables perfectly quiet performance and the splash proof design is suitable for wall mount installations in areas where moisture is present. 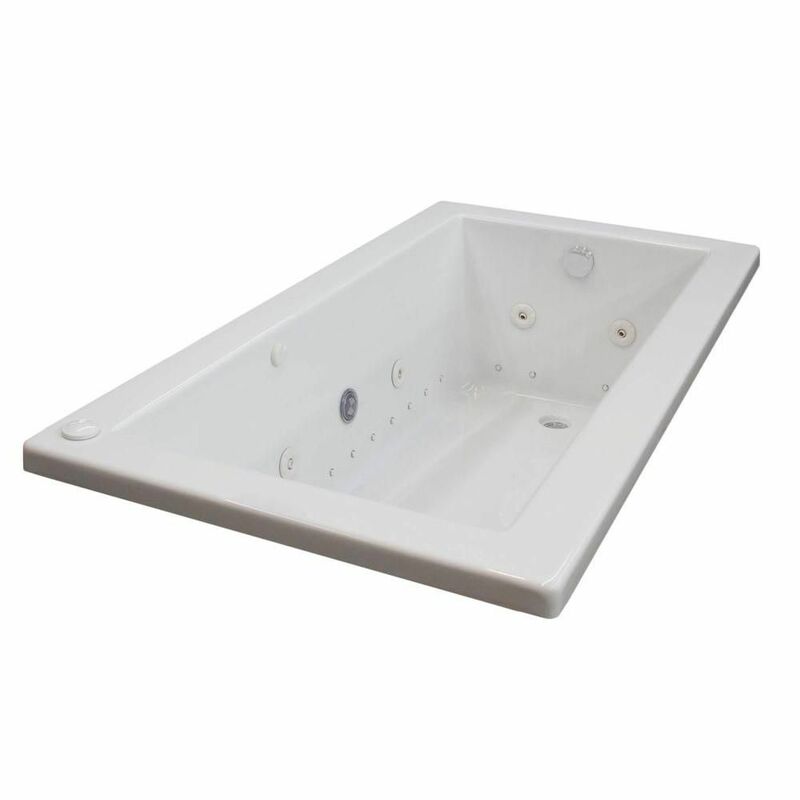 Sapphire 5 ft. Acrylic Drop-in Right Drain Rectangular Whirlpool Bathtub Aromatherapy Friction Heater in White Sapphire series bathtubs resemble simplicity set in classic design. A rectangular, minimalism-inspired design turns simplicity of square forms into perfection of symmetry.